usan Kraemer writes in solarpaces.org that to use solar thermal energy to convert farmed algae to fuel, the solar fuels research team at Australian National University (ANU), led by John Pye together with Mahesh Venkataraman, proposed a new process, detailed in their paper Modelling of a 50 MWth On-Sun Reactor for SCWG of Algae—Understanding the Design Constraints. 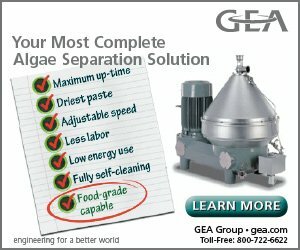 The process begins with Supercritical Water Gasification (SCWG), a next-generation thermochemical conversion technology for a faster chemical conversion with little waste, in which pressurized water and algae are heated using solar energy to make them go supercritical — a phase which has very different properties compared to room temperature water. SCWG has been proven at lab scale for converting organic feedstock into a gaseous fuel mixture containing CO, CO2, hydrogen and methane. 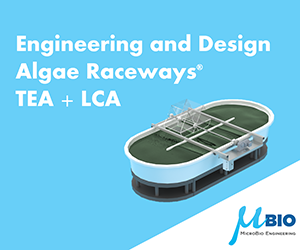 It would also be ideal for a wet feedstock like algae. 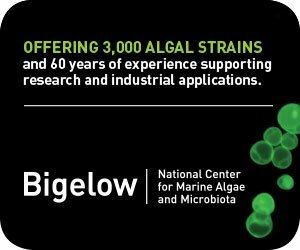 While supercritical water gasification is not actually limited to algae, the ANU researchers focused their expertise in solar fuels on algae because it could be farmed in Australia’s sun-drenched deserts with the abundant low-cost space needed for solar fields of heliostats to provide the heat for the reaction. 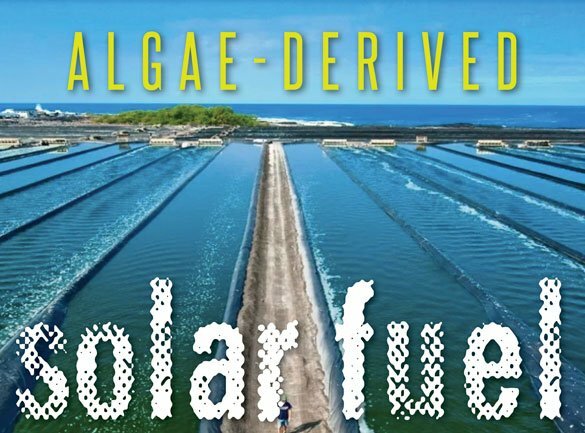 Producing a solar fuel from algae required them to figure out how to design the entire process, including following up the solar SCWG with a modified Fischer-Tropsch (F-T) unit for the conversion of the synthesis gas into a liquid fuel. As with other solar reactors for solar fuels, heliostats would form a polar arrangement in front of a tower, enabling much more highly concentrated solar radiation to achieve high temperatures with low flux on the receiver tubes. “The way to achieve this is to have a deep cavity with a lot of tubes spread out on the inside cavity and with a cavity you end up naturally with this kind of polar heliostat field layout,” Dr. Pye explained. Dr. Pye’s group at ANU has shown the techno-economic feasibility of liquid fuel production process via solar driven supercritical water gasification and the solar F-T route. 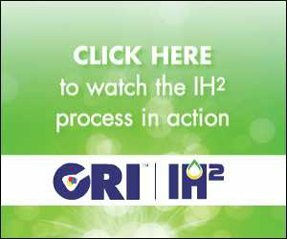 The process has been optimized and the levelized cost of fuel (LCOF) production using this technique comes out to be ~3.2 AUD/L of gasoline equivalent.